Visit The Entertainer today where you will find a wide range of toys and games to suit your needs. You will be welcomed by our friendly and knowledgeable staff that will be able to help you find that perfect toy. We have regular demonstrations, events, and competitions in store so you’ll be entertained. 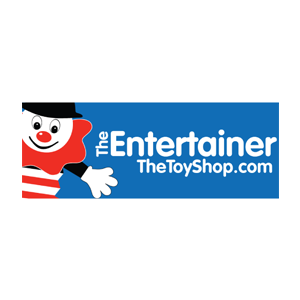 At The Entertainer we strive to be the Ultimate Toy Shop and will make your shopping experience a fun and memorable one.